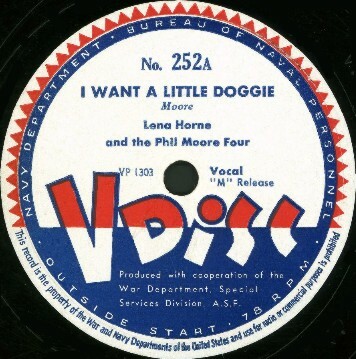 "I Want A Little Doggie"
Above: Lena Horne. 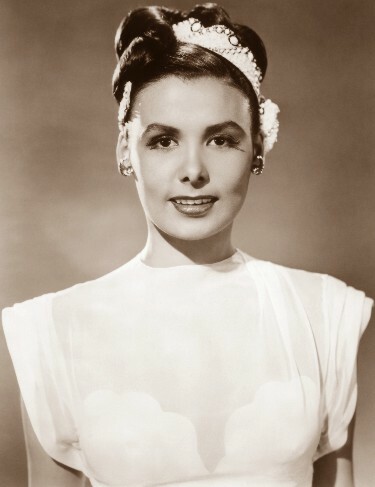 Click HERE for an article about Lena at The Class Act Web Site. 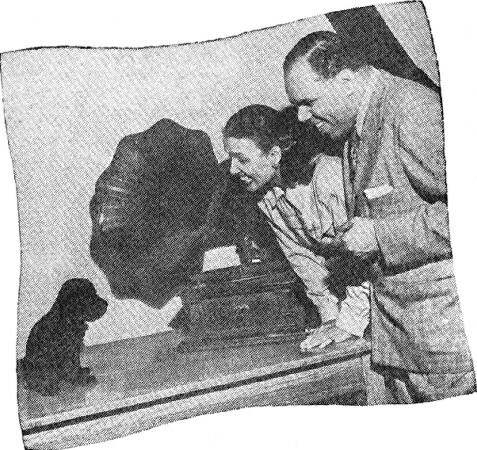 Above: Lena Horne and Phil Moore from The Billboard dated 6-30-45. Above: Photo of Phil Moore Four from The Billboard Yearbook for 1945-46. 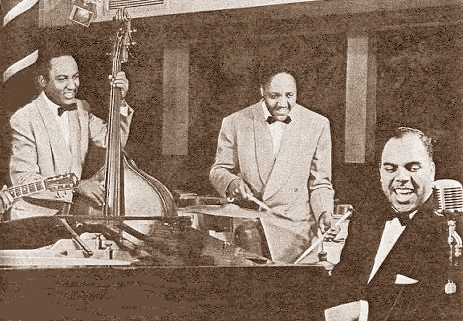 (L-R) Unknown (guitar), Doles Dickens (bass), Walter Bishop (drums), and Phil Moore (piano). Above Left: Label for VDisc No. 252A released in 1945. 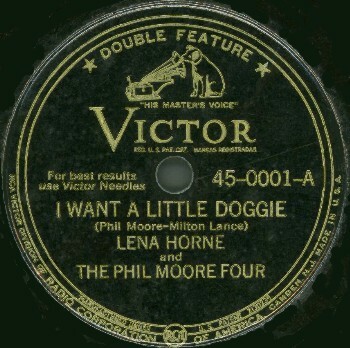 The flip has two tracks by The Phil Moore Four, including their hit, "My Dreams Are Getting Better All The Time", which had been released on Victor 20-1641-A in 1945. Above Right: Label for the short lived Victor "Double Feature" series, 45-0001-A released in 1945. The flip is another selection by Lena and The Phil Moore Four.